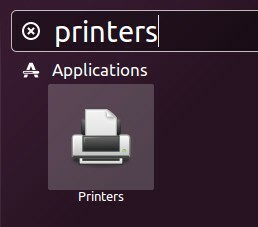 Setting up a Samsung's CLP-410 Printer on Ubuntu is a breeze because it supports mDNS whereby the Printer broadcasts its presence on the local network. Ubuntu ships with the Avahi service that detects such mDNS devices and makes the information available to Ubuntu's printing system. First we must configure the printer to join the local network. Press the WPS button on the Samsung CLP-410 printer and the network router. The printer should join the network right away. As with most network printers we must reserve a fixed IP address for the Samsung CLP-410 on the local network. To do this open the router's configuration webpage. This is typically accessed in a browser at http://192.168.1.1. If this is not the address of the router or you don't know the password then call your Internet provider. The menus will depend on the router model but what we are looking for is a menu to "Reserve" the IP number for the Samsung CLP-410 printer. It doesn't matter which particular IP number the printer gets. Reserving an IP number means that whenever the router sees a device with a specific MAC address rejoin the network then it will assign the same IP number the device had the last time it was online. When it's done then save the new router configuration. Now it's time to configure Ubuntu. Open the "Printers" application and press the "Add" button, then open the "Network Printer" node. The printer should be auto-detected right away and show in the list as "Samsung CLP-410". Select the device and press "Forward". From here on the printer driver downloads automatically and you're done after printing a test page. If Ubuntu can't find the printer then you might have a firewall that blocks mDNS. Make sure that incoming UDP is open on IP/Port 224.0.0.251:5353. 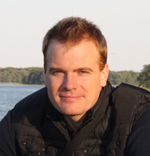 A minimalist firewall that permits mDNS is described here.